Uplyme is a traditional West Country village. "Its church looks down on the school, the Village Hall, the cricket field and the community that it has served since the time of Alfred the Great. Long ago the Romans lived in third and fourth centuries AD. Nearly 1,500 years later, it was the health-giving mineral waters that drew large numbers of people to the area. Set in a valley surrounded by magnificent hills, Uplyme once had 28 working farms. Today there are just three. It is one of the crosses that the farming communities have had to bear in recent years. But what Uplyme does retain is a vibrant village spirit shared by the indigenous members of the community and newcomers alike. That spirit is much in evidence at any event staged in association with the parish, large or small. In that it is second to none in Devonshire and a very special place to call home." There is an entry for Uplyme in the Devon Libraries Local Studies Service here. 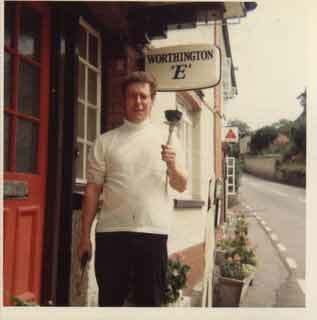 Uplyme.com is gathering together a collection of historic pictures of the village and villagers. If you have any old pictures of Uplyme and would like to share them with others, please contact the webmaster to arrange for them to be scanned. This will not damage your historic prints in any way. 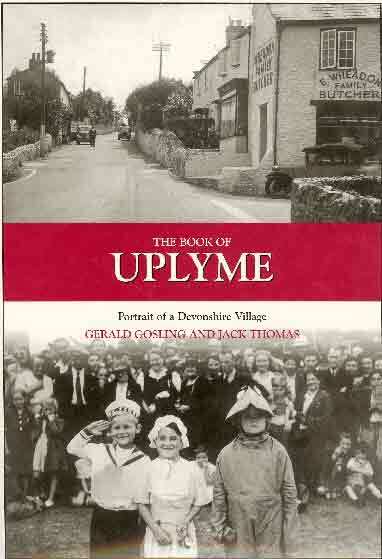 Anyone interested in learning more about the village and especially its history, should obtain a copy of the excellent publication The Book of Uplyme: Portrait of a Devonshire Village (Halsgrove Parish History) by Gerald Gosling and Jack Thomas. With hundreds of historic pictures, memoirs and a wealth of local information it is worth every penny of the �19.95 that it costs. The above extract is taken from the book by permission.